There are times when we become restless in our careers and are looking for more. Luckily, in the dental profession, there is always something new to learn. So, why not go back to school and feed that thirst for knowledge you have been craving? The Dental College at New York University College of Dentistry’s state of the art Rosenthal Institute is the perfect opportunity to provide you and your team with a completely unique outlook on dentistry. 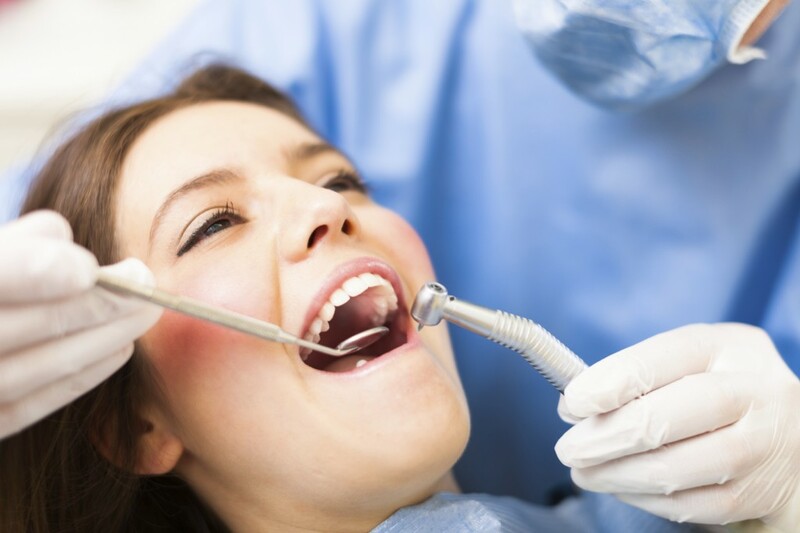 The dental college in New York not only allows individuals to experience hands-on dental courses but arranges for the most professional guest speakers and mentors to advise individuals on various aspects of dentistry. You are guaranteed to drastically benefit from the dental college courses offered by Aesthetic Advantage. Scratch that professional itch and expand your dental repertoire. Individuals who learn in a hands-on learning environment are more likely to remember the material better, making your success rate a lot higher. Studies show that hands-on courses motivate individuals to actively engage in their learning and improve their skills, as opposed to relying on the written word or a lecture. Aesthetic Advantage emphasizes the importance of hands on dental courses because of the many advantages they offer, compared to a more traditional classroom setting. If you are looking for a way to improve your life by continuing your education in the new year, further your knowledge and expertise of by enrolling in Aesthetic Advantage courses today. Don’t miss the opportunity to experience hands-on dental courses to further your education in the dental field. Improve your practice by learning new dental techniques through the dental courses by Dr. Larry Rosenthal. Call Aesthetic Advantage in New York, NY at 212-794-3552. Visit the website to learn more at www.aestheticadvantage.com. 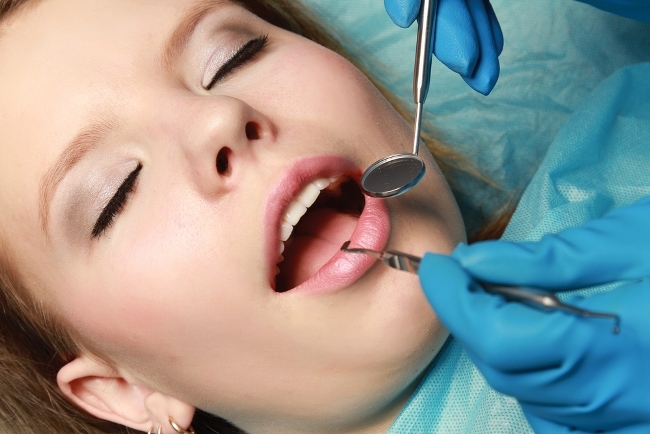 Why Choose Hands-On Dental Courses? 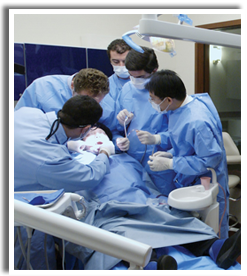 Aesthetic Advantage emphasizes the importance of hands on dental courses because of the many advantages they offer, compared to a more traditional classroom setting. If you are looking for a way to further your knowledge and expertise regarding dental education call Aesthetic Advantage today. 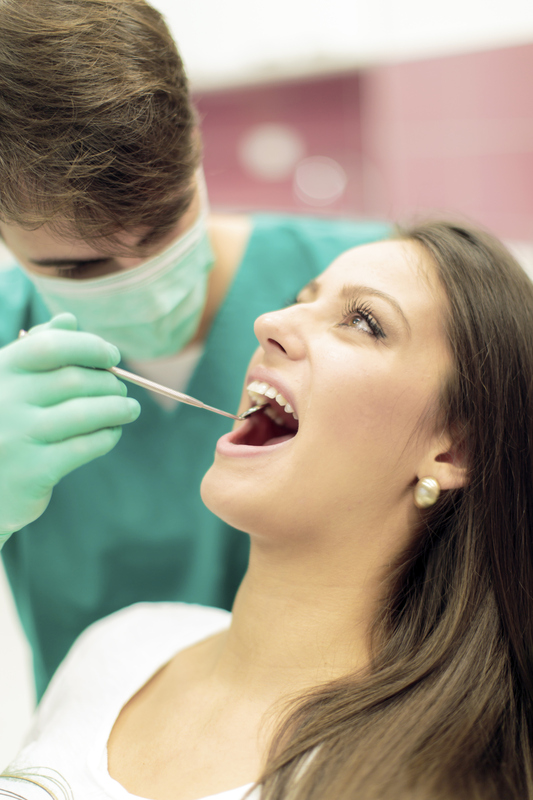 Continuing your career in dentistry after required education is over is very important. When you take into consideration how the world of dentistry is constantly changing and growing over time, there is a clear reason to continue in dental education. Not only are you strengthening your overall skillset, but you are also ensuring that your patients are getting the best, most up-to-date treatment on the market. Continuing dental education is essential for anyone working within the dental field. Just like the medical field, technological advances prove to come at a constant speed, and if not studied and kept up with, the science of it all is lost altogether. Ongoing training for dental professionals is incredibly important, so important that most states require that dentists and hygienists complete a certain number of dental continuing education activities each year in order to remain licensed. For a dentist currently in practice, continuing dental education can only be beneficial for them as well as their patients. Ongoing education ensures that his or her patients have access to the latest diagnostic, preventative and treatment methods. Join us at the Aesthetic Advantage Hands-on Continuum, at the Rosenthal Institute, New York College of Dentistry. We have an extensive 4 day program that is spread over two weekends, focusing on comprehensive aesthetic and restorative dentistry. All participants will gain knowledge of restorative and comprehensive cases; become efficient in treatment planning and case presentation; and establish the skills needed to preform top-notch aesthetic dentistry with increased confidence. All participants will have the opportunity to work hands on with patients, or choose the options to oversee 10-15 cases being treated from start to finish. Our hands-on program gives you the unique opportunity to be exposed to top speakers, learn cutting edge aesthetic procedures and techniques and be mentored by our clinical faculty. Let us infuse your practice with enthusiasm, positive energy and the necessary skills to become more confident and passionate about dentistry, setting your practice apart from others your industry. Our classes fill up quickly. Contact Aesthetic Advantage at 212-794-3552 to register today or visit www.aestheticadvantage.com to learn more about our extensive hands-on programs. Are you looking to continue your dental education? Do you want an excellent dental practice that only uses the most advanced restorative and aesthetics techniques? If you answered yes, then Aesthetic Advantage’s Aesthetic and Restorative Dental Continuum may be the right fit for you! Here at Aesthetic Advantage’s Aesthetic and Restorative Dental Continuum you will learn an infinite amount of knowledge about aesthetic and restorative dentistry, and in addition you will be taking home valuable real-world techniques that you can put to use in your own practice. There will be three two-weekend program that will be teaching you the Rosenthal philosophy and techniques. We will be presenting and reviewing up about 10 to 15 restorative/aesthetic combination cases each weekend. Learn new and cutting-edge procedures and techniques from top dentists and speakers. You will become part of our ELITE group of talented and successful dentists who have become more excited and passionate about dentistry! Enroll today! Contact Aesthetic Advantage at 212-794-3552 or visit the website www.aestheticadvantage.com. Dental professionals find themselves in a profession where science and art intersect, sometimes indistinguishable from each other. This is none more so evident when dentists perform procedures with utmost precision on an extremely small scale, an act that requires superior eye-hand coordination. As important as learning theory in a classroom setting is, dentists can only retain so much of the information that’s written on the board and discussed by the lecturer. If, however, a student is allowed or even encouraged to apply what he or she has learned, a student is much more likely to retain the information. While dentists do require a lot of theoretical information, it cannot be denied that the profession values manual dexterity. Such a skill is necessary for dentists to perform procedures effectively and safely, all the while ensuring the integrity of their profession. 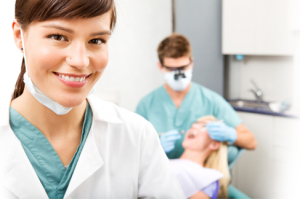 It’s no secret that dental practices constantly change and improve. Every now and then, new techniques and technologies are introduced into the field. Enrolling yourself in a hands-on dental course, especially one that furthers your education, can help you learn the latest techniques and at the same time improve your skills through actual application. More practice means more chances for you to learn from your mistakes and improve. While learning theory in a classroom setting may have already taught you what you need to do, actual appliances teaches you a whole lot more. For example, the hands-on handling of a patient, even if only a cadaver, teaches you how to stay composed and calm throughout the procedure, all the while still being able to assure your patient that you know what you’re doing. You gain a better understanding of the subject matter as you’re able to not only apply the information first hand, but also discuss it with other people. Such a setting fosters better learning, which in turn helps you improve your technique and at the same time, retain more information than learning only in a classroom setting. Continuing education, especially hands-on, helps provide you with an opportunity to grow and advance. This, in turn, can help improve your professionalism and allow you to provide better care of your patients. With hands-on dental courses, you learn first-hand the multitude of sensory stimuli involved throughout the procedure, including sight, touch and sound. This will help you feel more confident when it comes to assessing, educating and treating your patients. Hands-on activities have long been an important part of learning and improving literacy. It’s a technique used in students of all learning levels, from kindergarten to post-graduate. It’s effective and it works. To put simply, there’s just no substitute to the learning process involved in actually handling the materials and equipment first-hand. There are many ways to improve your practice and aesthetic dentistry skills, and one of the many ways is dental school continuums. If you are considering continuing your dental education in aesthetic dentistry, Aesthetic Advantage may be the perfect dental continuum for you. Click Here to See What Our Doctors Have To Say about Aesthetic Advantage. Not only will our dental continuum broaden your level of dental technique, but it will also allow you to meet with professionals that want to help aid in your success! Our classes do fill up rather quickly, so avoid waiting any longer and register today. If you’re interested in furthering your career in aesthetic dentistry while also improving your practice, contact Aesthetic Advantage at 212-794-3552 to register today! Or visit our website at www.aestheticadvantage.com for additional information regarding the extensive program we offer.